The application period has been extended for the U.S. Environmental Protection Agency’s (EPA) Presidential Innovation Award for Environmental Educators (PIAEE). Applications are now due April 5, 2019.
using STEM to teach environmental education. EPA will select up to two winners in each of EPA’s 10 Regions, one for Grades K-5 and one for Grades 6-12. 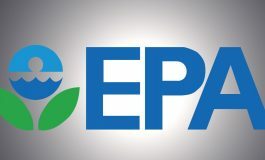 Winners will be invited to a ceremony in Washington, D.C. in mid-2019 and have their project mentioned on EPA’s website. PIAEE awardees will receive up to $2,500 to be used to further the recipient’s professional development in environmental education, and the teacher’s local education agency will also receive an award of up to $2,500 to fund environmental educational activities and programs. The PIAEE is an annual award program administered by EPA’s Office of Environmental Education. Since 1971, the EPA has recognized exceptional K-12 teachers employing innovative, interactive approaches to environmental education. It is one of the most important ways EPA and the administration demonstrate commitment to environmental stewardship efforts created and conducted by our nation’s teachers.